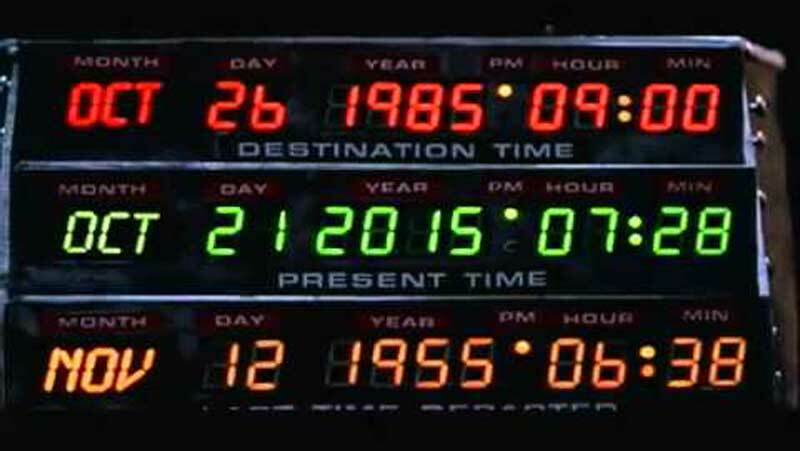 Something that you probably didn’t know about this past week was that October 21, 2015 was the day that Marty McFly came back into the future. But, here are the 5 things that are the same as he predicted! Eyewear: He predicted that everyone would have some sort of eyewear that did more than just the average. While in todays time we have Google Glasses that do much more than any ordinary glasses. With built in bluetooth and much more these are not your ordinary glasses. Self tying shoes are a big part of the movie. Nike is making these shoes that are a replica of that in the movie and will be out later this year. Flat Screen TV’s: In the movie these are everywhere. Just like in todays time if you turn around almost anywhere you can find a flat screen TV. Video Calls: Facetime is a big part in our lives and it is a big deal in the movie. We use FaceTime a lot, or at least I do. But, in that time it was almost hard to think of that happening. Drones: While in todays time we do have drones for different reasons than in the movie. In the movie they were used to do everyday life tasks, while ours have no exceeded to that level we still have the ability to purchase them.